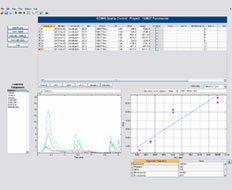 MsXelerator™ is an extremely fast and comprehensive software product for processing of LC/MS data, with expandability to other types of data such as GC/MS or CE/MS. The MsXelerator software suite empowers you to save valuable time analyzing complex LC/MS data coming from a number of application areas. Full Data Set Automated Peak Picking at any resolution and sensitivity. Use both un-targeted and targeted accurate peak detection. 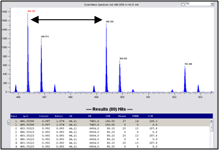 Convert peaks into components and quickly identify all detected peaks. Apply fast shift tolerant Differential Analysis algorithms to find differences between Sample and Control(s). MPeaks results are clearly presented in detailed peak tables, including many diagnostics for all detected peaks. 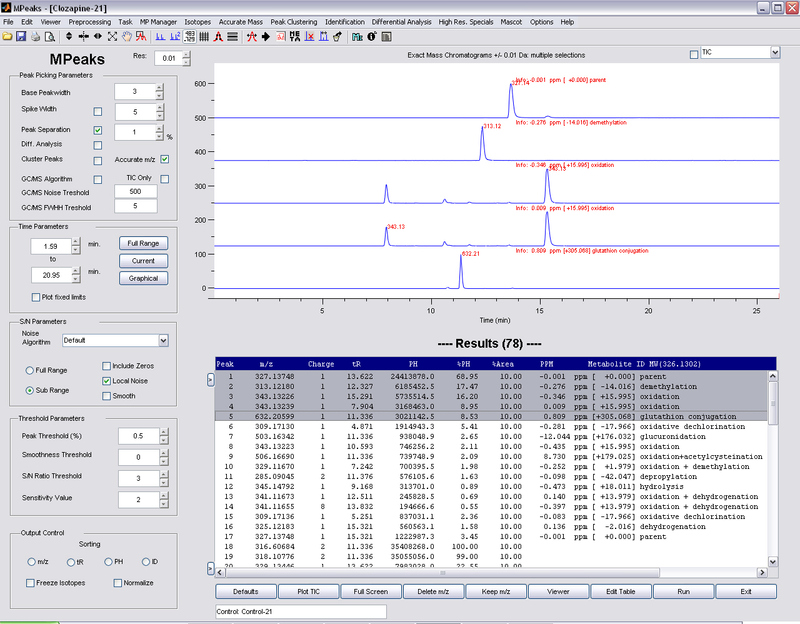 IPeaks performs High Resolution Isotopic Pattern Matching to detect or quantify peaks having a specific isotopic pattern. Use any type of isotopic signature like: Chlorine, GSH, 12C/14C, chemically or SILAC labeled Peptides. Fast, accurate and sensitive for all application areas in which labeling is involved. Extra features: comparison of sample/control, removal of adducts, identification of detected doublets etc. A unique approach for Metabolomics and BioMarker Discovery. Discover significant changing compounds for large series of samples. 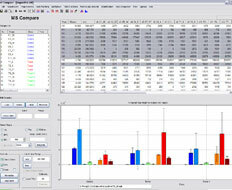 MsCompare performs peak picking and peak matching on series of samples from different groups. After proper alignment you can apply a combination of univariate and multivariate statistics to find and explore all discriminating peaks. Check instrument performance and use multiple Quality Control tools in all your GC/MS based Metabolomics projects. Features include: reliable GC/MS Peak Picking and accurate deconvolution, Alignment, Peak Purity Check, Identification of unknown peaks using NIST or user created MS libraries. Supports all major vendors: Thermo, Waters, Sciex, Bruker and Agilent. 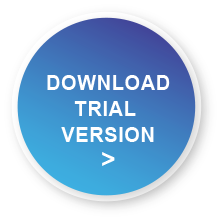 Download our latest Trial versions and test the methods on your own data.